Holi, the festival that celebrates the arrival of spring and the victory of good over evil is the most popular festival of India. Colours, dance, music and fabulous food, this vibrant festival has it all. In fact, people from all over the world travel to India to celebrate this festival of joy. 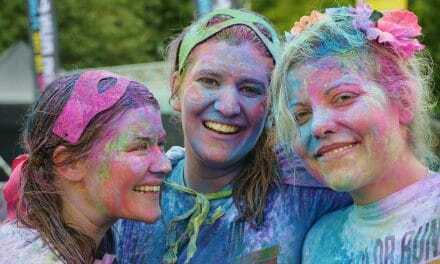 Here are the answers to some common questions about Holi. Also read: What to wear on Holi? Holi is celebrated on the day of full moon (Purnima), in Falgun, the twelfth month of the Hindu calendar. The first day of the celebrations is known as Holika Dahan. Rangwali Holi or Dhulandi is the name given to the second day of the festivities. This year, i.e. 2018, the festival will be celebrated on March 1 and March 2. According to the Hindu tradition, Holika Dahan( the lighting of the bonfire) must be performed at a specific time (mahurat) after sunset on the day of the Purnima. This year the astrologers have calculated it to be 6:40 pm to 9.08 pm in Mumbai and Delhi it is from 6:16 pm to 8:47 pm. The festival owes its origin to a number of legends. The festival of Holi gets its name from Holika. Holika was the sister of Hiranyakashyap, the demon king who tried to kill Prahlad. Hiranyakashyap wanted to kill his son Prahlad as he continued to worship Lord Vishnu and went against his orders. He ordered Holika to walk into a burning pyre with Prahlad.Holika had a boon, according to which, she could enter ant fire unscathed. Prahlad was saved, and Holika was burnt in this fire thanks to the blessing of Lord Vishnu. People burn bonfires every year on Holika Dahan to celebrate the victory of good over evil. There is another legend that is linked to colourful celebrations of Holi. Krishna was extremely jealous of Radha’s fair skin as he was himself dark complexioned. He complained about this to his mother, Yashoda. To appease him, she told him to colour Radha’s face in any colour of his choice. Over the years this playful prank turned into a tradition. 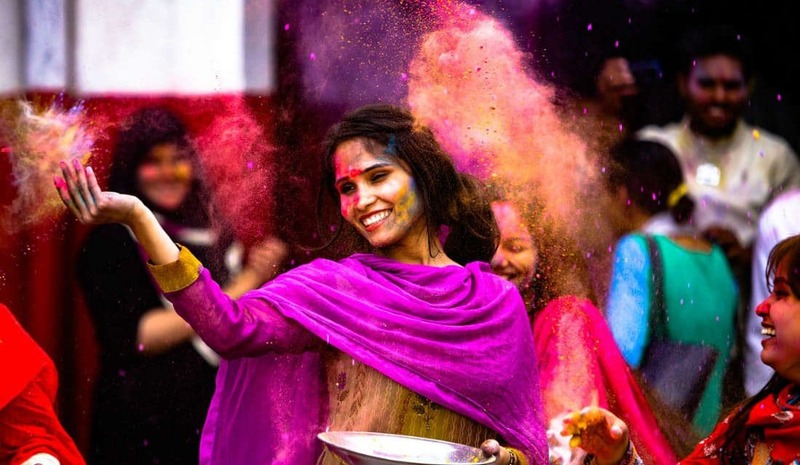 Holi is celebrated all over the country, but it is more popular in North India. Holi celebrations of Mathura and Vrindavan are famous across the globe. Known as Lathmaar Holi, the Holi celebrations in towns of Barsana and Nandgaon are unique. In Shantiniketan, West Bengal, the students of different departments at Visva Bharati University dress up in yellow and apply abeer on each other. In Punjab, Sikhs celebrate Holi as Holla Mohalla at Anandpur Sahib. The festival is famous for the fantastic display of martial arts by Nihangs. Udaipur, Goa and Hampi are the few other notable locations where people celebrate Holi in grand style. 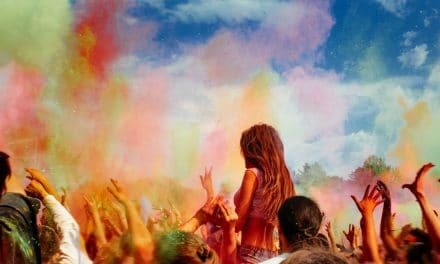 Holi has become popular in many other counties of the world like USA, UK, Australia, Spain, South Africa, Trinidad and Tobago. 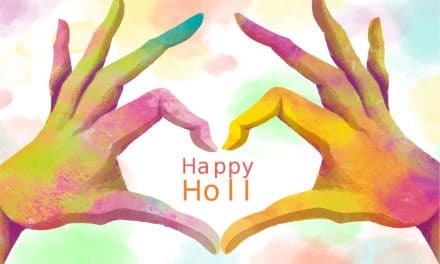 For the people living away from their country festivals like Holi become occasions to stay connected to their roots and a chance to celebrate with their friends. How is this colourful festival celebrated? Holi celebrations are spread over two days. One the night before Holi, Holika Dahan takes place. People get together after sunset and burn wood and dung cakes in a symbolic pyre. The next day people take part in the colourful celebrations of the festival. People throw colours and splash water on each other. Traditionally people used to play with colours made out of natural products like turmeric, kumkum and dried flowers. Nowadays, due to commercialisation, chemical-based colours have taken over the market. Opt for organic colours for a safe and happy Holi. Great music, dancing and traditional snacks are also a part of these colourful celebrations. 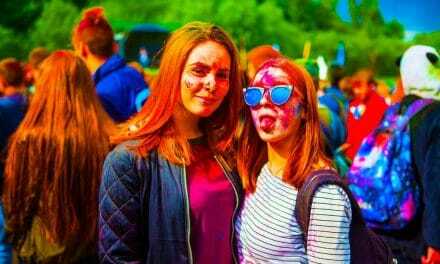 How to stay safe during Holi? Follow these few basic tips to ensure that you have a safe Holi. Enjoy the festivities with a known crowd. It is always safer to play Holi with a group of known people. Many revellers are drunk and can misbehave during the festival. Most colours used these days are synthetic and contain harmful chemicals. So cover up with full sleeved shirts and pants before you venture out. If you wear contact lenses, remove them before you play with colours. Wear sunglasses to protect your eyes from colours. Avoid having bhang on an empty stomach and do not mix it with alcohol. This intoxicant, which is an edible form of cannabis, can lead to increased blood pressure and heart rate when consumed in large quantities. Playing with colours in the hot sun can be dehydrating. Drink water to keep your body hydrated. Apply coconut oil on your hair and a good sunscreen on your body and face at least an hour before you go out to play Holi. This will form a protective layer on your hair and body and make taking out colour easier. Always use cold water to wash up and rinse out colour from your hair. Hot water will make the colour tougher to take out. NextWhat does John Cena do with his $55 Million net worth?